WICHITA, Kan. — Kansas Gov. 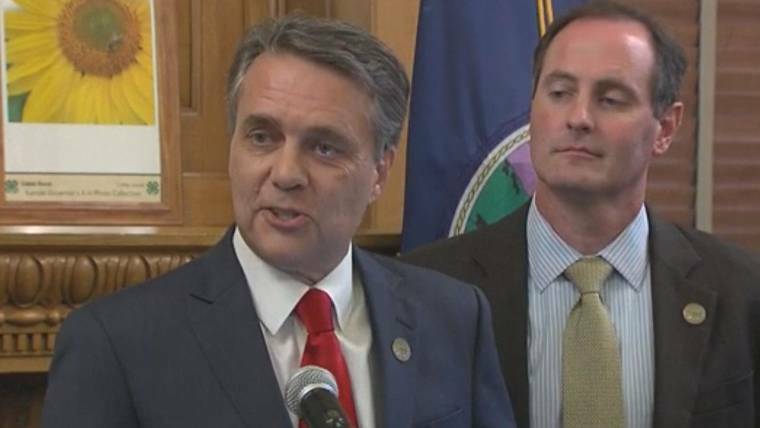 Jeff Colyer conceded Tuesday evening in the state’s Republican gubernatorial primary, saying he would endorse Secretary of State Kris Kobach a week after their neck-and-neck finish threatened to send the race to a recount. The disputed race was intense and prompted a lengthy county-by-county review of provisional ballots. The aftermath of the primary included both candidates challenging each other’s legal interpretations, sending observers to monitor the vote count and raising the specter of lawsuits. It included a fight over how to count unaffiliated voters who were simply given a provisional ballot by poll workers without first having them fill out a party-affiliation statement. Colyer’s campaign had representatives in all 105 counties when provisional ballots are reviewed. Kobach removed himself from election-related duties on Aug. 10 until the primary outcome was resolved, but Colyer argued that Kobach still had a conflict of interest because his top deputy took over Kobach’s responsibilities. Kobach, 52, has a national conservative following thanks to his strong stance against illegal immigration and his fervent defense of voter ID laws. He was vice chairman of the Trump administration’s election-fraud commission, though the commission eventually found no evidence to support Trump’s claims of widespread voter fraud in the 2016 presidential election. 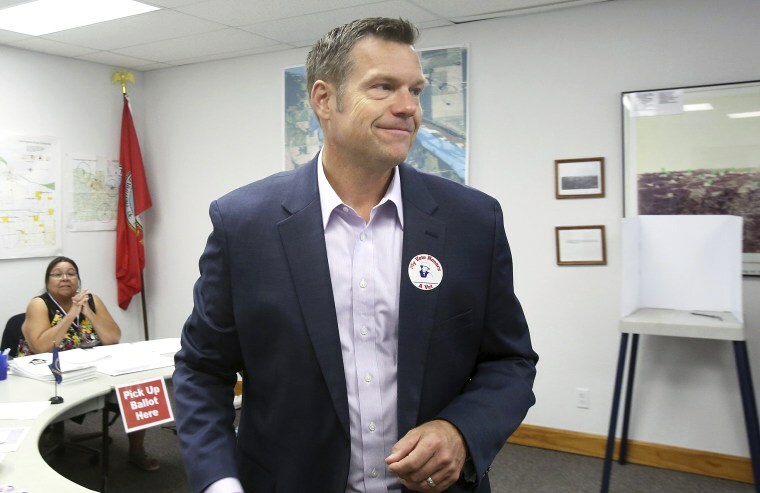 Kobach’s voter ID efforts also took a hit in June when a federal judge found the Kansas voter ID law he championed was unconstitutional. He helped craft state health care legislation as a lawmaker before his election as lieutenant governor in 2010. As lieutenant governor, he supervised a 2013 initiative that privatized Kansas’ Medicaid health coverage for the needy. Provisional ballots are cast when questions about a voter’s eligibility cannot be easily resolved. The problem could involve a name not showing up on the voter rolls or a voter’s address not matching a photo ID in states where that is required. National data from the Election Assistance Commission shows that the most common reason for rejection was that a voter was not registered in the state. Other reasons include provisional ballots being cast in the wrong county or wrong precinct and problems with a voter’s identification or signature. Before becoming governor, Colyer was a loyal No. 2 to Brownback, even when budget problems that followed the governor’s aggressive income tax cuts caused his approval levels to plummet. Lawmakers in 2017 rolled back most of those cuts. Colyer skirted legal trouble after making three $500,000 loans to Brownback’s and his own re-election campaign in 2013 and 2014. Two of the loans were paid back within days. Democrats speculated they might have been timed to inflate campaign-finance reports. They came as the Republican governor faced the prospect of losing to a well-financed Democratic challenger, Paul Davis. Brownback eventually won by a 50 percent to 46.1 percent margin. Brownback’s office said the loans were in compliance with Kansas law and ethics regulations. A grand jury investigation ended with no criminal charges.